Puerto Vallarta, Mexico - The International Friendship Club (IFC) continues its Monday Night Movies this season with an exciting "Hollywood Classics" movie series. All of these blockbuster films, stretching back to 1940, won "Best Picture" Oscars the year they were released. The movies are only $40 pesos (with proceeds going to charity) and that includes free popcorn! The cash bar opens at 6:30 and the movies begin at 7:00 pm at the IFC Clubhouse (directions below). The Series kicked off January 12 with the 1940 Academy Award winner Rebecca. Alfred Hitchcock's first American film, this romantic thriller starring no less than Laurence Olivier and Joan Fontaine is based on the timeless novel by Daphne Du Maurier. Mysterious widower Maxim de Winter brings his shy young bride home to his imposing estate Manderley where his bride finds her life dominated by the sinister, spectral influence of Maxim's late wife, who still rules Manderley and Maxim from beyond the grave. All About Eve follows on January 19. Named the Best Picture of 1950 and one of the most acclaimed films in academy history with 14 nominations, this classic features the legendary Bette Davis playing stage legend Margo Channing. As Margo's star is dimming, Eve Harrington (Anne Baxter), young, ambitious ingénue, becomes her all-too willing protégé and slowly this dreamy-eyed kid spins a cunning web that eventually destroys Margo. George Sanders, Celeste Holm, Hugh Marlowe, Barbara Bates, Gary Merrill, and Thelma Ritter also appear, and the film provided one of Marilyn Monroe's earliest important roles. For the fans of Marlon Brando we feature On the Waterfront on Monday, January 26th. 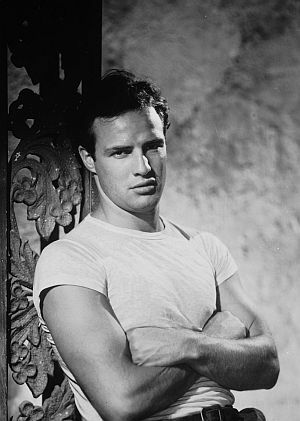 Remember when Marlon was such a hunk as ex-fighter Terry Malloy of "I cudda been a contender" fame? This unforgettable drama about Terry's redemption from the mob and the gang-ridden New York docks is among the most acclaimed of all time. On February 2nd, you won't want to miss the 1956 Oscar winner Around the World in 80 Days. Mexico's beloved Cantinflas stars opposite David Niven in a role for which Cantinflas won the Golden Globe Award for best actor in a comedy. Robert Newton and Shirley MacLaine round out the great cast in this lovable adventure about trying to traverse the globe in record speed in a balloon and getting into deep trouble wherever it lands. Look for a future article with details of later films in the series, and see the full listing below. 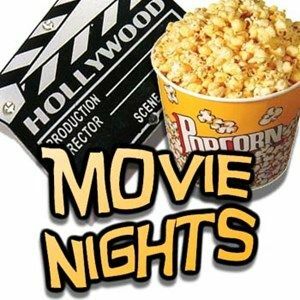 There are no advance ticket sales, doors open at 6:30 some come then and get your seat and your popcorn! We'll see you at the Classics Monday nights!